Take the money and run? 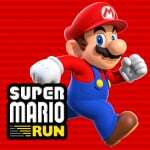 Super Mario Run - one of Nintendo's most high-profile smartphone titles - has been yanked from the iOS App Store. The title remains available on the Android Google Play Store at the time of writing, but is totally absent from Apple's digital storefront - although its themed sticker set is still on offer. Phew! It's not currently known why the game has been pulled; issues with titles on the App Store are usually solved with a timely update - totally removing a game would suggest something more serious. And before you say it, the removal can't be to do with iOS 11's impending arrival, as it's already a 64-bit app. Needless to say, we'll be keeping our eye on developments, but in the meantime, why don't you post some of your own predictions below? Perhaps Nintendo - a company famous for under-supplying things - is trying some of its NES Mini magic in the world of digital distribution? You decide. Seems like it's already back up. When they found out Mario wasn't a plumber anymore they pulled it. Makes sense, news like that shocked us all. No problem since it's never been on my phone. I nearly forgot this game existed. I looked it up in the App Store and was able to find it?? Yeah it's there for me. I still play a couple of toad rallies a week. I'm hoping it comes back with more content, but that is a vain hope. Maybe they found a bug with that version and are tweaking it? Just searched for it and was there, also an update popped up for it at the same time so probs just an app store bug whilst they were submitting the update. its there whats the point of this story? is it clickbait? Just had an update for the app on iOS so possibly will return now it's been updated. Edit: showing in App Store now as v3.0.3 although looks like v3.0.2 was also released today and may have had an issue. Nothing says "consumer confidence" like alienating and confrontational business practices! My sarcasm is coming from a place of complete love for my Switch and the wonderful games I play on it. Jus' sayin'...those fools are straight bananas with their tactics sometimes. It's like they WANT to fail. Lol. 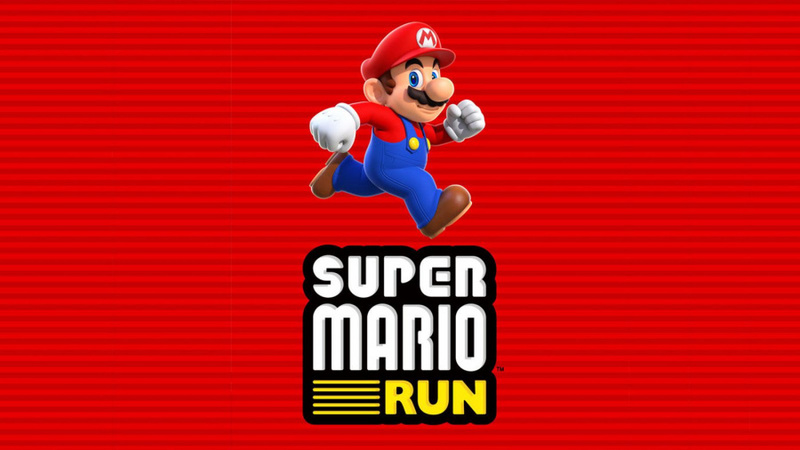 Well, at least Android users can still play Mario Run. "...one of Nintendo's most high-profile smartphone titles..."
You mean the second of three to relase? Unless you count the Switch app, bringing it to a whopping four. Still up on the Canadian App Store. Seems like Nintendo pulled an NES Mini with Super Mario Run. @nintendawesome All those Pokémon ones were published by The Pokémon Company, except for Pokémon GO which was published by Niantic. There are 5 published by Nintendo, only 2 of which are games. Appears like Nintendo for a brief moment realized they were selling something with the same quality and effort as the Zelda CDi titles, and they pulled it from the market. Then they realized they are bound by contract to put it back on there. The game no longer even entertains my 4 and 2 year old. They sometimes log in, get the free stuff, and then turn it off 2 min later. The PBS game app has more appeal to them because they games have more depth. Beyond sad but true. Apple wasnt happy that Miiverse was ending. limited time runs of apps on the app store? DO NOT GIVE THEM IDEAS!!! It's up with an update. It seems like a brief absence while replacing one version with another. @nintendawesome I view the Pokémon ones as being more closely affiliated with the Pokémon Company than as Nintendo apps, so my original comment still stands. Did anyone actually play this game? Nintendo doesn't have infinite digital resources. You can't except them to keep the game up forever. I just received an update to Mario Run on my iPhone. Also when I look for it on the AppStore, it is still available. They could have pulled the version that was up and then went live with the updated version. You can do that in iTunesConnect if you wanted too. I am a developer and sometimes do this because there was a bug in the current version that was not working correctly. So to fix it we pull the current version from the store then push the brand new version. This takes around 30 minutes to an hour to show up in the AppStore. Also HUGELY scummy tag line you have there in the article title. @ValhallaOutcast 100% clickbait with that tagline >.>... Thought you guys were better than that NL. Mario had to take another plumbing gig then. Those pipes ain't gonna unclog themselves! How do you punny sods not write 'Mario Run away?' as a subhead, how!? @nintendawesome They own it in part, as I understand it, but Game Freak and Creatures Inc. also have shares in the Pokémon Company. It isn't exclusively Nintendo. Well that's what Apple get for trying to prevent Nintendo from getting new techs for the Switch. Now Nintendo will remove contents and titles associated with their partnership, soon I expect Fire Emblem Heroes and Pokemon Go to be dropped too. Would've used the 10 bucks on Fire Emblem Heroes maybe if only knew....TOAST! @XCWarrior Lots of free games for your kids. My niece and nephew are 2 and 4, Paw Patrol is all the rage. When my kids were younger they played on there all the time. @rjejr My kids like Paw Patrol but never ask to play any of those games. I've brought them up right, they are both Pokemon and Mario fans. But Super Mario Run... nope. We still play Pokemon Go well over a year and my 4 year old still loves it dearly. Who knows what happened but it is back. I love Super Mario Run and I have played it for hours. Getting all the black coins was rewarding but I just wish there was more an emphasis on leaderboards. It's the perfect game for it. @XCWarrior My kids are older, 12 and 14, and while they are both big Pokemon fans - tv show, cards, games, movies, books even - they played Go for about an hour and saw no point. Mario is Mario, though even they didn't play Run for long. They were never going to pay $9.99 for it. Good job on the child rearing. Sell it for $10 up front on Switch and I'm game.